As the daughter of poet Miller Williams, Lucinda’s writing gifts were apparent from the beginning, but it was the development of the whole package, combining the “rock ‘n’ roll Flannery O’Connor” sensibility with a beautiful wreckage of a voice that guaranteed a level of gravitas and emotion that covers could never capture. Factor in a singularly bloody-minded focus honed over 15 years of dues paying, and a total disregard for genre-specificity, and you had the makings of a genuine cult artist, whose encounters with mainstream success never caused her to waver from her chosen path. Williams spent years honing her craft, cutting two albums on Smithsonian/Folkways, with the second, Happy Woman Blues, providing our first playlist cut, King Of Hearts, the most striking of her original work to that point. Punk label Rough Trade seemed an unlikely destination for her next step, a self-titled album, but a shared commitment to artistic independence yielded a breakthrough masterpiece that caught the attention of various year end lists, and most importantly, provided grist for a small industry of covers. 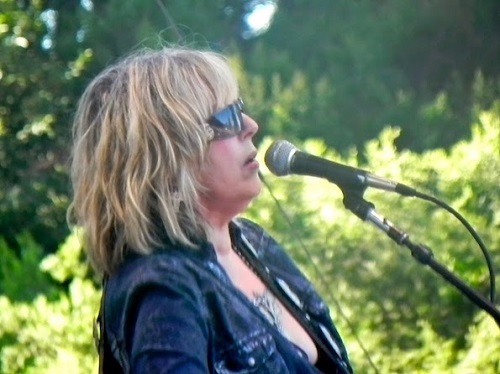 Patti Loveless started the ball rolling, then Mary Chapin Carpenter struck gold covering Passionate Kisses, and later covers of Crescent City by Emmylou Harris and Change The Locks by Tom Petty helped keep the spotlight on the record. In an LP brimming with feisty portrayals, her statement of purpose Side Of The Road is the playlist choice. The covers gave her a baseline of security in pursuing her own vision, and as she toured this and subsequent LPs, those who attended the shows were sometimes taken aback to be confronted with a full-throttle rock and roll show, owing as much to Mick and Keith as Bobbie Gentry. After the demise of Rough Trade, she signed with RCA, left when they pressured her to release material she felt wasn’t ready, then resurfaced on Chameleon (Elektra) with Sweet Old World, marked on the playlist by the harrowing Pineola. Her most recent release was revisiting this LP in 2017 with her current touring band, under the title This Sweet Old World. Quality control was not just a watchword with Williams, and the three year gestation of her next project affirmed both her talent and her doggedness, with Car Wheels On A Gravel Road standing as a career defining work. A recent look back by the incomparable Jenn Pelly gives the album its full due, veering without a care over the backroads of country, folk, and blues haphazardly, it proved a crucial building block in what would become known as Americana. The title track is our pick, scenes of childhood impressions laid against a rock-steady beat, creating something that’s both alluring and bittersweet. With her place established, she kept on refining her approach, paring down as the next release’s title, Essence (2001), would indicate. Out Of Touch wins pride of place for the playlist, a longing look at life on the road. This LP would mark a normalization of relations with the industry, with new projects coming at (more, for her), regular intervals. 2003’s World Without Tears served as her high point, sales chart-wise, and the languorous title track, as well as the similarly paced title cut from 2007’s West, caught Williams at the height of her powers, conjuring much from so little, falling back on a bullet-proof self confidence in her gifts. At this point, Williams had become a genre unto herself. Copenhagen from 2011’s Blessed is an affecting wrestle with ghosts that always brings out the best in her, and while there’s loads to admire here, from the lyrical simplicity to the understated band performance, at the end of the day it’s That Voice that brings it home. Reflecting industry shifts, Williams formed her own Highway 20 label to gain a more cohesive grip on her legacy, successfully crowd-funding a rerelease of her self-titled 1988 LP, as well as the aforementioned re-recording of Sweet Old World. This positioning, as well as the impetus of long-time backing band Buick 6, allowed her an unprecedented explosion of creativity, with Down Where The Spirit Meets The Bone (2014-2CD/3LP), followed by another double, The Ghosts Of Highway 20, scarcely 18 months later. For all its heft, Down Where The Spirit… displays very little fat. Penultimate playlist contribution, Compassion, is the recasting of her father Miller Williams’ most famous poem. His words are eternal, and it’s a fascinating transition; when she hits the chorus, it’s pure Lucinda. Confirming her commitment to not standing still, Williams’ most recent appearance on the 2018 release by the perpetually unsung saxophone maestro Charles Lloyd helped expand the horizons for both. It’s a collaboration truly worth savoring, as evidenced by our playlist closer, We’ve Come Too Far To Turn Around. 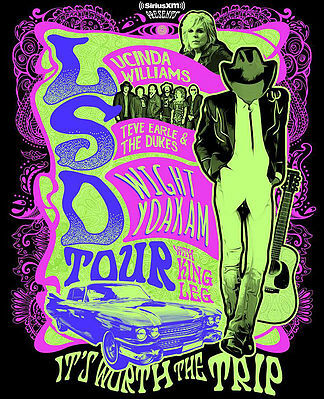 While not on the playlist, I Lost It, in its various incarnations, is a great way to track her evolution, from the bayou honky tonk version on Happy Woman Blues, to its turbocharged successor on Car Wheels On A Gravel Road, culminating in a rough and ready take on 2005’s Live At The Fillmore. To bring us completely current, February 2019 marks the release of Mercury Rev’s take on Bobbie Gentry’s The Delta Sweete Revisited, with Williams turning up as guest vocalist on the Southern gothic classic Ode To Billie Joe, which, in a way, brings us full circle. 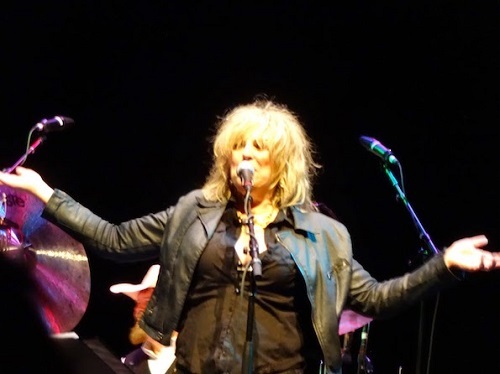 If all the previous has served as any kind of taster, Lucinda Williams next adventure is her own take on a life well lived, an autobiography scheduled for publication in 2020 with Henry Holt & Co.
Wayne Jessup (@waj1) can be found at The Owl Mag and Burned All My Notebooks. He has written on Mission of Burma, Fugazi, Spoon and Jawbox for this site. Thanks for this excellent list Wayne. 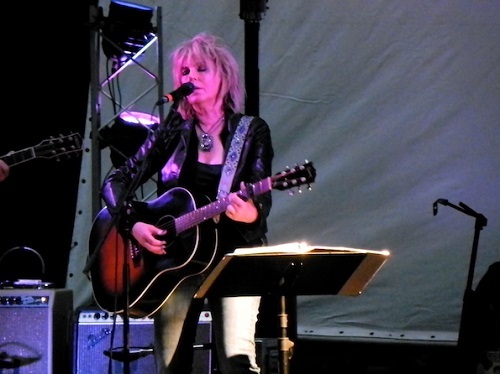 Lucinda is such a fine songwriter. I would have to have ‘Sweet Old World’, ‘Greenville’ and “Lake Charles’ in my personal Top Ten. Also have a soft spot for this great duet with Graham Parker. A very fine Toppermost Wayne. But, but, but, but there was nowhere near enough from “Car Wheels”. Where was “Lake Charles” – “In a yellow Camino, listening to Howlin’ Wolf” – and where was “Drunken Angel”, my introduction – and I’m sure I wasn’t alone – to Blaze Foley. Yes, I can appreciate that you were attempting to give a rounded picture, dipping into a lot of albums, but for many of us “Lake Charles” was our first meeting with the lovely Lucinda and it was one of those meetings you never forget. In your defence I was delighted to make the acquaintance of “Vanished Gardens”; I think the expression is “a match made in heaven”. And that VOICE was created for “Ode To Billy Joe”. Excellent and good to see Lucinda on here. I’d also have to have at least another from Car Wheels on A Gravel Road and Lake Charles for me too, but then I need to explore further. 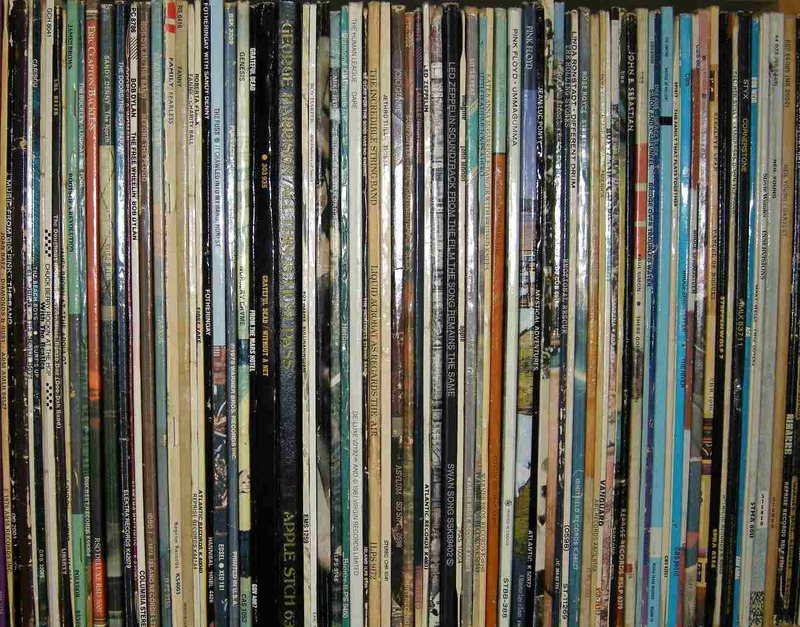 I’ve got seven albums, but I’m surprised at how many I haven’t got. The first one I thought of was Lonely Girls (Essence). The next in my head were Those Three Days and People Talking from World Without Tears. I got If Wishes Were Horses on a magazine cover disc, but kept meaning to buy the “Little Honey” album and never did. Apparently it was her most successful. It has interesting guests and I just ordered it secondhand- it’s “unavailable” new. She’s good on tribute albums. She did a great job with Mississippi You’re On My Mind in tribute to Jesse Winchester and Trying To Get To Heaven from the Chimes of Freedom Dylan tribute, then a couple on a Blind Willie Johnson tribute. Taking on Ode To Billie Joe on Mercury Rev’s “Delta Sweete Revisited” is brave. I’ve been playing the album all week and it’s not my favourite track. The bass playing on Billie Joe is great, and Lucinda’s voice fits the area as Dave says, but actually I think she pours way too much drama onto the song, probably accentuated by the backing. Bobbie Gentry’s understated original is vastly more effective to me.